Look at THIS image! See that? That’s FOOD! Lots of it. And it’s all being grown in backyards. Grow your own food! In the USA, home of the free, land of the brave, we’re not allowed to grow food in our yards. It’s almost laughable, if it weren’t so freaking sad. But in Geneva Switzerland they not only grow food, they produce LOTS of it! 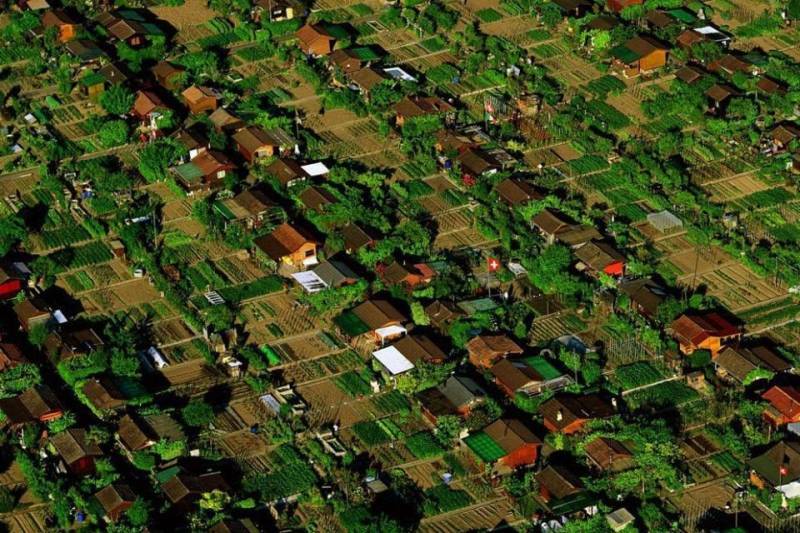 So most neighborhoods and local areas in the USA do not allow you to grow food in your suburban yard… Why not? Because the cities, townships, FDA and USDA and Health Department is afraid that we’ll sue them if someone gets food poisoning from eating food that could be tainted or “improperly processed”. That’s really what it’s about. Liability. The state, city, local government is afraid that if they say “Yes. Go ahead and grow your own food.” that if someone gets sick, they will be liable for allowing it. I don’t think it’s about control. Maybe at some personal, power mongering way a Health inspector might get some personal thrill out of telling someone “No.”, but all in all I think it’s more about the gov getting their knickers in a wad. They simply don’t want to get sued. How can we change it? Just do it. Make it PUBLIC. Very public. Don’t ask permission because then questions come up and it gives them the opportunity to say “No.”. Just grow your own food. Learn the techniques, take precautions, clean your food, cook it well, and enjoy the fruits (and veggies) of your labor. If some pissy Health Dept. worker/inspector comes by and threatens you with a fine, get his or her name, and BLOG it all over the web. Post photos of your garden and tell everyone you know about it. Start a petition, and fight for your right to grow your own food on your own land. If you’re already able to grow food, then teach other how to do it. Start a blog or website. Post photos of your garden or farm online, get the word out. Urban farming is the future, and as food shortages sweep across the world and food prices rise, it simply makes sense to grow your own food. They produce about 6000 pounds of food on 1/10 of an acre of land each year. That’s a good haul for the size property. That equates to about 60,000 pounds of food per acre. Growingpower.org has produced 1 Million pound of food on 3 acres of land by using an aquaponics system and greenhouses where they can grow YEAR ROUND! You can do it too. 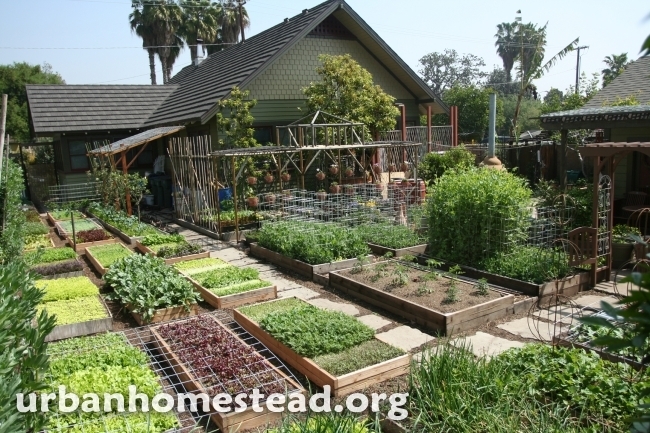 You can turn your back yard into a garden. Grow your own food. Feed your family. Previous articleTHE POWER OF COMPOST: Can You Power & Heat Your Off Grid Home With Compost?